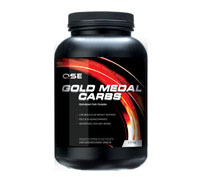 QSE Gold Medal Carbs (MaltoDextrin) - Natural, 3.3 lbs. contains a number of carbohydrate chains of varying lengths and absorption rates, including dextrose, maltose, oligosaccharides and polysaccharides. This carbohydrate profile offers a staggered release effect that allows for a more continuous carbohydrate supply. protein shake depending on your carbohydrate requirements. 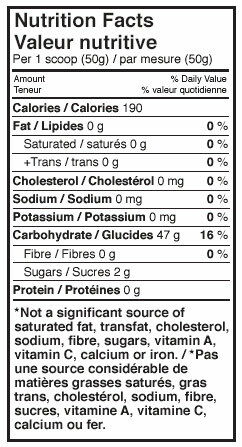 INGREDIENTS: Maltodextrin, Yielding the following Glucose Polymers: Polysaccharides, Oligosaccharides, Dextrose, Maltose. DIRECTIONS: For Adults, mix 1 scoop (50g) of Gold Medal Carbs into 250ml of water or the beverage of your choice and shake vigorously. Consume 1 or 2 servings daily.